Rambo, the most dangerous man alive, is in exile far from home, vowing to renounce violence and war. When his country calls him once again, he refuses to accept. But then he learns that his former commanding officer, Colonel Trautman, the only man he trusts, has been captured on the Afghan border during the mission that Rambo rejected. For Rambo, it’s a call to arms—and an invitation back into hell. Again, I did a novelization for a Rambo movie that someone else wrote, and again I added a lot to the story. The first scripts I saw were excellent, particular the character of a fortyish female French physician who takes care of Afghan children injured during the war. The story had an epical Rambo of Arabia feel. But for budgetary reasons, the scripts got simpler until the released film felt thin. My novelization contains all the material about the female French doctor and the children in peril. One of many subtexts I added was that the Soviet War with Afghanistan was a version of America's involvement in Vietnam, with similar fracturing effects to each country's veterans and culture. Who could have predicted that thirteen years later, the United States would fight its own long war in Afghanistan, with similar fracturing effects? 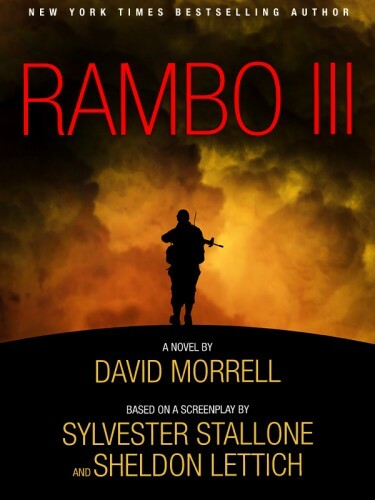 Out of print for 22 years, Rambo III is now available as an e-book. In 2017, Gauntlet Press will release a limited, signed, collectors edition of Rambo III. As with the Gauntlet limited collectors editions of First Blood and Rambo: First Blood Part II, there'll be numerous extras that include an unpublished chapter, essays about the film's troubled production, and script pages that illustrate the novelizing process. Except for a small number of library copies that were distributed in the U.K., this will be the first English-language hardback publication of the novel.